Conduct a quick tour of most corporate offices – and most web sites – and you’ll encounter a page of core values. These noble words, such as “Dedication,” “Honesty” and “Excellence” are meant to embody the spirit of the company across all of its interactions. Too often, though, these words are just flat representations of what the company wants to be. If you can remember back to 2001, even Enron had core values – values so heartfelt they had them chiseled into the marble of its main lobby. While the words were imprinted on the walls, the hearts and minds of many employees failed to be imprinted with the same ideals. Extrinsic motivators go a long way in improving morale. From a simple, “Great Job!” spoken at a team meeting to a company award with a cash prize, your team members strive for and respect the praise that you offer. Passionate employees crave recognition, so as you hand out praise understand that you are tacitly endorsing all of the actions and behaviors of the award winners. If the word “Honesty” is a core value, do your award winners embody this value? Did the winner of the quarterly prize behave in an honest manner when he/she closed the deal? Don’t just hand out prizes based on sales goals or other metrics by themselves. Invest time to investigate how your winners behaved and determine if that approach is something you want to encourage. If your quarterly champion clawed his/her way to the top by providing the customer with inflated prices or by sneaking in unnecessary add-ons to the sale, you are encouraging all your team members to do the same. Your team meetings, specifically all-hands meetings, are a great time to show off what you deem as valuable. Even if it’s at the subconscious level, your employees notice how much time gets devoted to the various topics. If you have a core value of “Integrity,” be sure to call out employees that act with honor, even when under the gun and facing pressure. If you have a core value of “Dedication,” champion an internal team that invested additional time to develop a new breakthrough that will benefit the company. Review the agenda of your next meeting. If you spend 95% of the time looking at and discussing the previous quarter’s balance sheet, employees will only focus on the immediate, short-term numbers. Each time you promote a team member, you are endorsing a set of behaviors and characteristics. The people you promote become the face of your company – both on the inside and outside. Before moving someone from a desk to an office, ask yourself whether that person fits the company “brand” you are trying to portray. If you want knowledgeable, engaging help desk technicians, be sure the new manager has an unmatched technical aptitude and an upbeat and articulate personal style. Ultimately, the true test of your corporate values program is how people perceive your team members. If you were to ask your top three customers what your values were – based on their experiences with your team members – what would they say? If you want alignment between what you strive for and the impressions you leave behind, don’t expect a break room poster or even an etched-in-marble phrase to get the job done by itself. 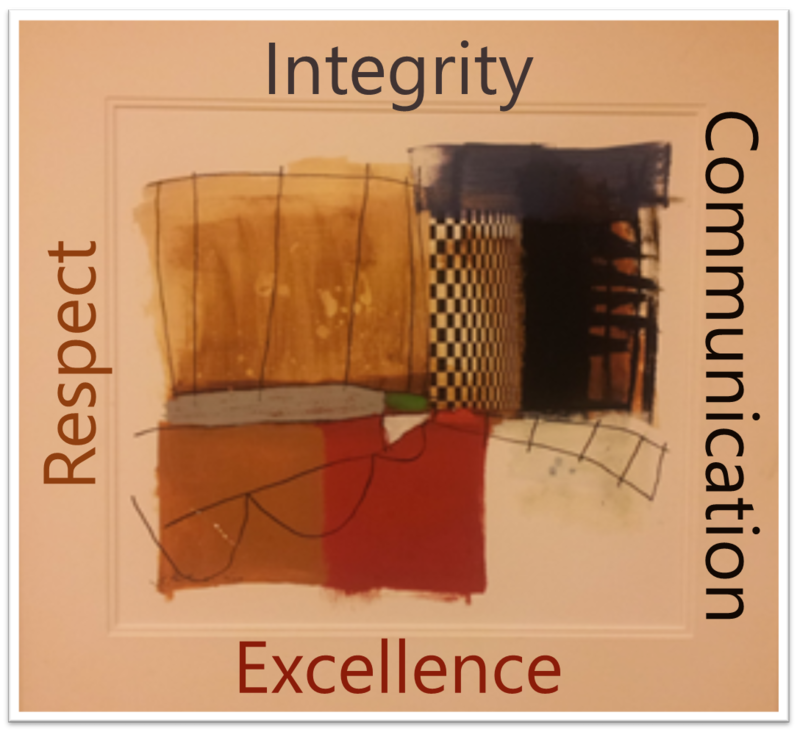 Be sure to “show” (model and reward desired behaviors) in addition to “tell” (list and display the values) your team what matters. Each day is an opportunity for you to express the behaviors that matter to you. Transform your two-dimensional posters and visual statements of values into three-dimensional actions by infusing your decisions with your core values. This entry was posted in Compliance & Ethics, GRC and tagged Jonathan Kitchin. Bookmark the permalink.